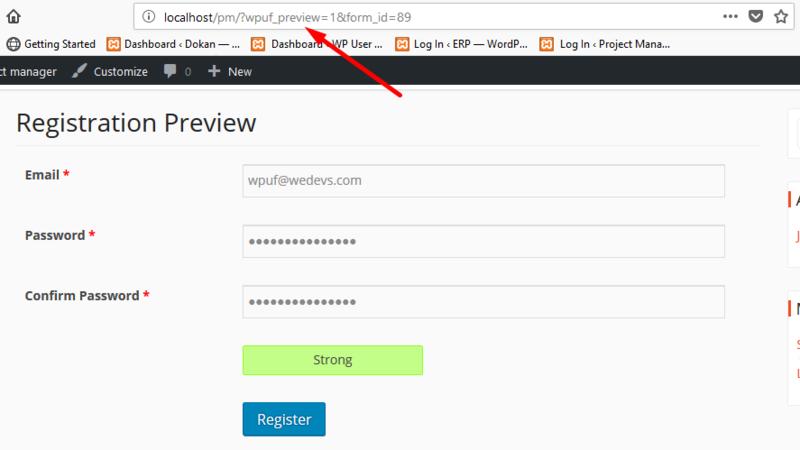 With WPUF FREE v2.8.10, you will be able to preview your forms from the frontend before publishing. Simply go to User Frontend→Registration Forms→Open New or Edit existing form. In your Form Editor, the Preview feature is located on top right beside the Save Form button. To view a preview, first click on Save Form after making changes to your form body. Then click on Preview. You will be taken to a new tab where you can view the page from your web front. You can identify that it's a preview form from the link itself as shown above. WPUF allows you to test submit entries from preview form also.